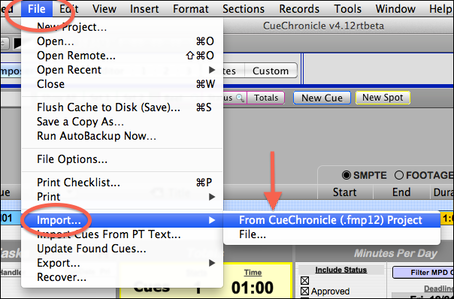 Only files with a (.fmp12) extention can be used for importing. 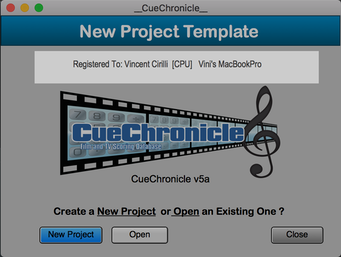 Â First create a new blank CC file from your Registered New Project Template in your Applications > CueChronicle Folder. This will be your target file. Make sure you have the most current version of the start template and that it is registered. The standard Mac file browser will open. A dialog will open warning that the source file will open and become the front most window. Move back to the target file. 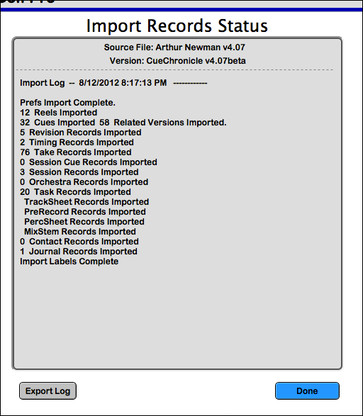 The target file should be sitting on the Migration layout. 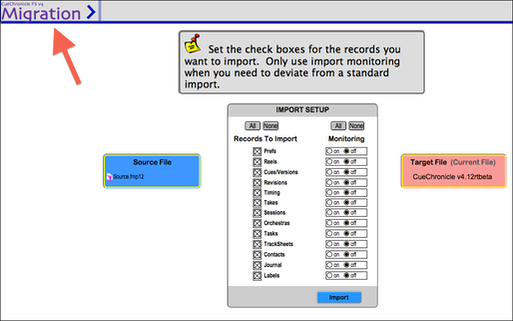 TheÂ default Import Settings are set to import all records from the source file. Set the check boxes to your preference. Leave monitoring left as is. Click Done to move back to the Checklist > Composers layout. Double check your new project. Always keep the original as a backup.